April 1, 2014  In his re-election bid, Florida GOP Gov. 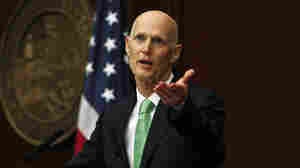 Rick Scott can point to a rallying economy and a big war chest. But his campaign has recently run into trouble with an important group of voters — Hispanics.